Grechetto is a white-wine grape originating in Greece (hence the name) but now grown almost exclusively in central Italy, notably in the region of Umbria. It is important to not confuse Grechetto with the similarly named but quite distinct Greco grape. Grechetto was and is often used in blends, notably Orvieto, and not so often bottled as a monovarietal, though with its rapidly rising reputation, that is changing. 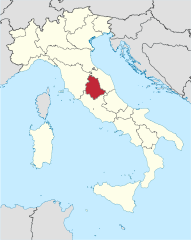 Formerly, its contribution to Orvieto was usually small (sometimes zero), but nowadays, with its rising prestige, it is included in ever-higher percentages (though 45% is the legal maximum). To bottle a monovarietal, most producers must use the normally lowly designation "Umbria" (lowly because so generic, sort of like "California" for a U.S. wine). The Colli Martani appellation, however, does allow 100% Grechetto wines to be so labelled. The wines are typically light in color, medium-bodied (sometimes even full-bodied), with distinct acidity and tree-fruit and citrus aromas and flavors. It does not usually see oak, but some producers do make oaked bottlings, often with malolactic fermentations (which gives the rich, buttery quality so many Chardonnays possess). Many reviewers also speak of a distinctly nut-like overtone (almonds are usually cited, but also hazelnuts) to the taste, and some minerality. Grechetto, like many white-wine grapes with long growing seasons, is also used to make sweet dessert wines, in this case wines of some fame. Factoid: The ancient Roman historian Pliny the Elder, in his work, Historia Naturalis wrote Peculiaris est tudernis (it is typical of Todi), in reference to Grechetto di Todi's slightly bitter aftertaste. "The Grechetto vine is low yielding and able to produce concentrated flavors. The grape is primarily used as a blending grape where it adds richness and structure to the wines. It is most often blended with Chardonnay, Trebbiano, Malvasia and Verdello. In Umbria, Grechetto can add herbal and nutty flavors to the wine." 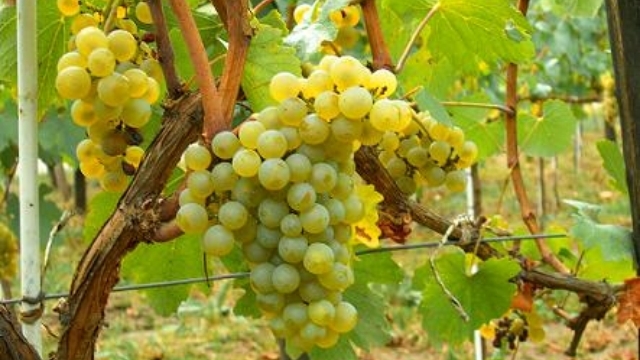 "Since the late 20th Century, its reputation has significantly improved and Grechetto is now regarded as one of the finest white wine grapes in the region. . . A low-yielding vine, Grechetto has traditionally been only a minor constituent in Orvieto wine. The modern trend is to utilize Grechetto to the maximum allowed proportions, improving the overall aromatic quality of the blend." "Grechetto di Todi DOC has a typical intense straw yellow colour, the aroma is rich in delicate floral and fruity notes, like green apple, pear, pineapple, and citrus with hints of vanilla and spices in the versions refined in oak. The taste is soft, well balanced, pleasantly fruity, so incredibly complex and elegant that it can be matched not only with vegetable-based first courses but also with soft cheeses and white meat, definitely the best companion in our summer meals." "Wines produced with Grechetto usually have an average body, sometimes a full body as well, with colors ranging from greenish yellow to golden yellow. The most common wine making technique for Grechetto makes use of inert containers, however some Umbrian producers tend to favor the cask or barrique. 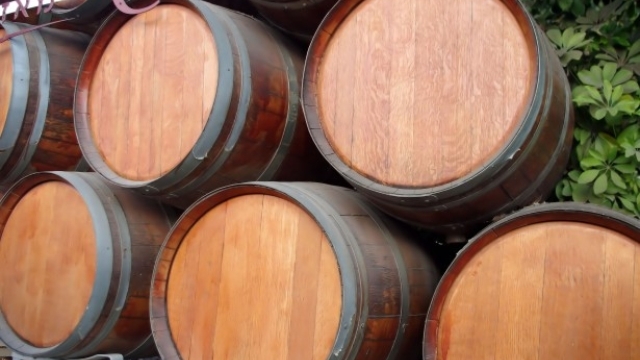 Barrique and cask are generally used for wines in which Grechetto is blended to Chardonnay, however it is not uncommon to find 100% Grechetto wines fermented or aged in cask or barrique." "The key for the grape seems to be (low) temperature-controlled fermentation to enhance the unique aromatics of the wine. Straw-yellow colour, with greenish tinges, typically, the aromas and flavours of Grechetto are reminiscent of apples, pears, white peaches, wild flowers, and lime citrus, with notes of almonds. Usually made in a medium- to full-bodied style, there’s sufficient acidity to make Grechetto a very good food wine." "From this grapes we can produce fine wines characterized by a straw-yellow colour with greenish highlights that become deeply golden when the wine matures through some years or is completely refined in barrique cellars. Wines produced by Grechetto have a mothley [sic] bouquet profile. In fact, the prevailing aromas are the fruity ones like pear and apple, dried fruits (nut), tropical fruit (pineapple, banana, kiwi and grapefruit) and floral scents (hawthorn and broom, sometimes even chamomile and acacia). The refining in barrique cellar gives Grechetto scents of vanilla and cintraging, even though wood organoleptic qualities never prevail on wine’s aromatic characteristics. Tasting says that Grechetto is dry with a balanced acidity and structure. The refining, in barrique cellars, helps acidity perception and, at the same time, brings out wine’s smoothness and structure." "Varietal Grechetto produces a dry, straw colored, medium to full bodied aromatic wine." There are quite a few bottlings of Grechetto available, just about all reasonably priced, though not a few are carried by only a very small number of retailers. Of those you should be readily able to obtain, here is a good sampling. ♦ “Sergio Mottura could be defined as the most skilled interpreter of grechetto in the world,” says the guidebook to Italian wines Gambero Rosso, which backed up the pronouncement with one of its much-coveted “tre bicchiere” awards. . On the lighter side of yellow gold in the glass. A nose that immediately draws your atttention. Floral elements vie with a pleasant dose of crisp pineapple. Then again cheese, blue cheese perhaps, or parmesan. A bit more mellow in the mouth. Citrus cutting some notions of butter. An old varietal with something fresh to say. Distinct and delightfully character driven. ♣ International Wine Cellar (March/April 2013), 91 points. ♦ Bright straw-green. Musky aromas of pear skin, tangerine, minerals and white flowers. Pure, chewy and lively, with tactile flavors of orange zest and deeper orchard fruits. A floral note emerges with aeration and carries through the long, gently spicy, minerally finish. This unoaked wine has a real knack for aging; I've had many Poggio della Costa wines that were still going strong six or seven years after the vintage. Poggio della Costa 2012: This has the boldness of youth. Six months aging in stainless steel in no way tamed the juvenile impetuousness of this newborn that manifests itself with a pleasing minerality and a fruity explosion of pineapple, papaya, line and green apple. A second sniff brings out nuances of sweeter fruits, a dusting of powder that mingle with scents of orange blossom and vegetal notes of grass, weeds and wild flowers. The taste is lemony with a very pronounced acidity and a fruit flavors of exotic fruits, lime and kiwi. While still a bit rough, this wine has a lot of personality. 86 points. Poggio della Costa 2011: Here the color is a little more intense and the aroma is more dominated by floral notes of hawthorn and rose that reign above a fruity component of peach and ripe apple. Added to this are mineral whiffs and scents of aromatic herbs and a note of mint. The mouthfeel has greater balance, a nice acidity, great softness and consistency between the aromas and the flavors. 87 points. Poggio della Costa 2007: This is really good. If this is the effect of aging then it was well worth waiting for. The bouquet has wilted flowers, mimosa and toasted notes that create a fascinating aroma. The mineral vein, chalky and balsamic, flows through the nose towards a mouthfeel with an even lovelier acidity and a broader and fatter body without any tartness, pungent and tasty. As with the other vintages, there is noticeable affinity with a Chenin Blanc, a grape with a very great acidity. 89 points. ♦ Aged on its lees in stainless steel. Aromas of white peach, flowers, and almonds. The peach really dominates on the flavour, with an agreeably bitterness at the back…a bit like rolling a peach pit around in your mouth. Good acidity too, with medium length. Medium-bodied. The bottle says 14% ABV but that seems higher than what I get. ♦ [Google-translated from Italian:] The advantages of the Costa del Poggio are very drinkable, the absolute pleasure and freshness, to the point that the bottle is empty and always, no matter by the combination. Spacious, with hints of tropical fruit, slightly tangy and good structure was the companion, but fleeting ideal of a tasty bream in salt. This is Grechetto par excellence, made by an organic producer, virtuous, and in love with a native grape variety from the wonderful potential. ♦ Color: Intense straw yellow. Perfume: It has a very pleasant aroma impact, full and fruity, with a perfect matching nose and palate. Flavor: Hot, fresh and persistent, long finish and slightly tannic. Average rating: 3.6/5. ♦ [Google-translated from Italian:] Pale yellow solid, crystal clear. Fragrance direct, intense but very good finesse. First of floral and fruity (citrus, pear, pineapple, elderberry) that fresh, with the climate agostano take on the features of a real godsend. Then whiffs minerals that seem to take on pebbles on the seashore, hazelnut, ginger, herbs, anise. Very well defined. On the palate impresses as alcohol remains in the rear despite being 14 percent. Structure of great balance. Cool and great flavor. Return notes of grapefruit and pineapple for a final cleaning and nice persistence. Really good, sharp, no frills, with an admirable quality/price ratio! ♣ Wine Advocate (2/ 2013), 90 points. ♦ The 2011 Grechetto Grecante is a pretty wine that impresses for the length, minerality and focus. There is good depth and definition in the flavors, with plenty of yellow stone fruits, flowers and spices all woven together nicely. The creamy, expressive finish is graceful and inviting. ♦ [I]t is crisp and refreshing, all delicate flowers on the nose, with notes of lime and grapefruit. Who knew the vines around the Umbrian hilltop town could produce a knockout white like this? ♦ The 2009 really showcases what this grape can produce, showing flavors of bosc pear, almond and lime, peach and pineapple, as well as a pleasing hint of crispness and bitterness, typical in this grape. . . Rating: Excellent (92). ♦ Grecante is my wine of choice for sweltering Summer days; it's immensely refreshing, thanks to its mouth-puckering acidity and smooth long finish. I'll be pairing mine with a good book, but it'd be equally at home consumed in concert with grilled fish, burrata stuffed squash blossoms, or a simple appetizer of cheese and crackers. ♦ What a beautiful wine it makes. It’s a gorgeous straw yellow, with intense fruit and floral aromas. The first sip is pleasant, but not memorable. 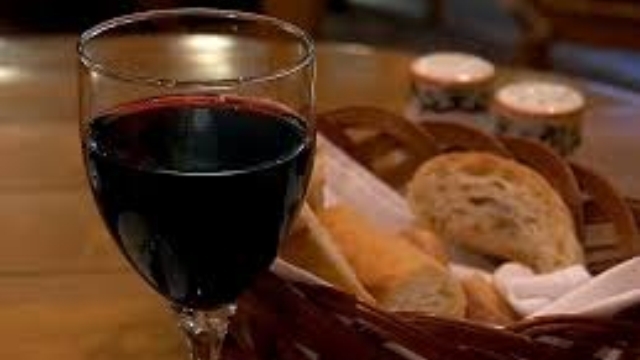 But as the wine opens, and especially when you have it with food, the flavor explodes in your mouth. It’s well-balanced and fruity with some citrus notes. I thought it had some of the characteristics of a buttery Chardonnay; Teri thought it tasted a bit like a Viognier. The longer the wine sat in the glass the better it got. I would chill the wine, but take it out of the refrigerator at least 30 minutes before serving. The winery recommends serving it at 50 degrees. ♦ This pale yellow colored white wine from Italy opens with a fragrant lemon zest and tangerine like bouquet. On the palate, this wine is full bodied, zingy and crisp. The flavor profile is a tart green apple with infused mineral notes throughout. We also detected some white pepper and a touch of apricot. The finish is dry and its acidity and flavors linger after the wines is gone. ♦ Revealing light herbal and citrus zest notes on the nose, the 2010 Grecante Grechetto has a chalky palate of minerals and notes of green tea and grapefruit pith with a hint of residual sweetness on the finish. 89. ♦ The color is daisy yellow with a slight olive green tint. The nose is sweet and fragrant, honeysuckle and magnolia, clover honey, pineapple and peach. This is a dry wine with a substantial mouthfeel. It tastes of apple mixed with lemon/lime, dried peach slices, pineapple tinged with honey and the lime from a gin and tonic. The mid palate brings along some dried apricot, a soft swipe of minerality and late hit of tart grapefruit. The flavors are full, but this is a well balanced wine with outstanding length. There is a solid dose of acidity that runs thru-out the entire body of the wine, just the right amount to balance the wine when paired with food. The finish is long and will last until you take your next sip. The Grecante Grechetto dei Colli Martani is lovely wine well priced at $19.99. Beautifully fragrant and flavorful, nicely balanced, textured and nuanced, bold and delicate at the same time. ♦ This wine received the “Tre Bicchieri” award from Gambero Rosso, easy to understand why: citrusy, with linden scent and a beautiful mineral finish. The vineyards are located in Castiglione in Teverina and Civitella d’Agliano on volcanic soils, then 6 months on the lees and here we have a wonderful pairing with raw seafood! Love it! ♦ [Google-translated from Italian:] [S]weet to the smell, dry and decided on the palate almost like a bubbly brut. 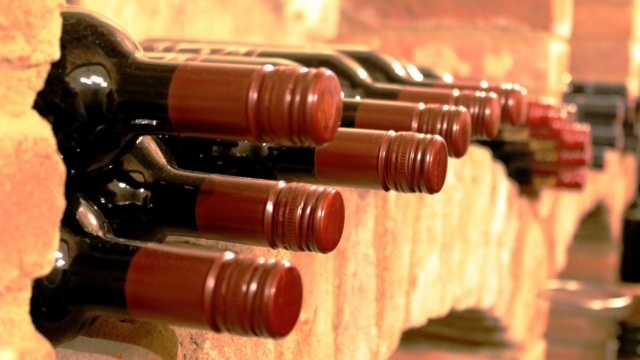 ♦ The Imported Italian wines from Trappolini we rate as good buys and best buys. Grechetto Lazio 2015, white, semi-dry, clean, clear, minerality. A good buy at $19. ♦ Here’s a beautiful white that opens with an enticing floral fragrance of acacia flower and Spanish Broom, accented by a whiff of beeswax. The palate delivers ripe pear, peach, pineapple and banana flavotds alongside quenching, crisp acidity. It has a dry, nutty finish. 89 points. ♦ [Google-translated from Italian:] Straw yellow with greenish tinges with deep and elegant aroma with hints of fruit among which pineapple, banana, peach, pear Williams and broom flowers and almond. Nice combination of fresh-flavor, persistent. Balanced, rich and velvety with a strong personality and finesse. ♣ Xth International Wine Competition (2011): Silver Medal, still dry white wines. ♦ Grechetto DOC Colli Perugini – bright sunny yellow in the glass with beautiful intricate flavours of exotic Thai fruits and nuts, particularly almonds. ♦ [Google-translated from Dutch:] This Grechetto is distinguished by its vibrant, brilliant straw yellow color and its delicate, fruity nose (exotic fruit, citrus, almond). In the mouth it is lively but also oily with a slightly bitter almond toastiness in the aftertaste. Moreover, this lively and delicate wine has a very modest price tag. ♦ One of [Goretti's wines] that I noted, was a light and fruity white Grechetto grape native to the area which is a DOC, Colli Perugini. It had a delicate exotic fruity and floral aroma that lingers on the palate. ♦ [Google-translated from Dutch:] A clear, straw yellow color with a very slight tingling / bubbles. Which closed in the nose. Pear, peach and some bread yeast. Something floral. Smooth and slightly oily in the first instance in the mouth. Again, the tingle. Ijzerig bit. A bitter and some skimpy. The fruit (nectarine and peach) is present in the background, it does not determine the taste. Light in body and some simple structure. ♦ The 2011 Grechetto was a straw colored wine that had a floral aroma and a hint of citrus. The finish was crisp and fruity. ♦ This opens with subdued aromas of citrus blossom and yellow stone fruit while the weighty palate doles out unripe apricot, yellow peach and bitter almond. Showing the heat of the vintage, this shows less overt freshness than it does in cooler vintages. You'll also notice a hint of evident alcohol on the close. 87 points. ♦ The 2008 Argillae Grechetto has a super pale yellow color, almost transparent with steely reflects. The nose is bright and mineral, with discreet aromas of white and yellow fruit intermingled with a fresh touch of sea breeze. The palate, resembling somewhat a Muscadet, is clean, bright, light on its feet yet quite complex and structured. The malo and time on its lees conferred a certain ampleness, yet it remains very summery with the same fruit and Terroir characteristic as the nose and that same iodine touch…The crisp and lingering finish is ultra refreshing and inviting. This is an excellent summer white wine, and a steal at this price! ♦ This Grechetto shows a pale straw yellow color and nuances of greenish yellow, very transparent. The nose denotes intense, clean and pleasing aromas which start with hints of apple and plum followed by aromas of hawthorn, pear, lemon and hazelnut. The mouth has good correspondence to the nose, a crisp attack and however balanced by alcohol, good body, intense flavors. The finish is persistent with flavors of apple, pear and plum. This Grechetto ages in steel tanks. ♦ It has a clear, straw yellow or lemon appearance. The nose has medium intensity with notes of lemon, apple, and pear, along with other floral and fruit notes (a bit of blossom). There is a bit of weight to the nose as well, with a slight toastiness, characteristic of a wine that was aged in contact with yeast, which, as it turns out, is the case with this wine (the wine is kept in contact with it’s yeasts for roughly 90 after the fermentation process is complete). The palate is dry and full bodied, with a sturdy alcohol finish. There are notes of lemon, pear, a little grapefruit, and more floral notes. It has some nice acidity, though not as crisp as some of the lighter white wines you would find in Italy’s norther regions. It has a quality very reminisent of an Orvieto, which makes sense since Grechetto is one of the main components of wines produced in the Orvieto DOC. It has a clean finish, medium in length, leaving you with notes of grapefruit and apple. ♦ Colli Martani Grechetto is a crisp, acidic white with an intense floral nose accented with notes of melon, blanched almond and citrus. The palate delivers fresh lemony acidity and a slightly spicy finish that would serve well with linguine con vongole, and should appeal to fans of Gewurztraminer. ♦ [F]loral aromas and rich notes of melon, peach and almond. This is another of those wine varieties for which there is no option that seems any better than what's already listed above.